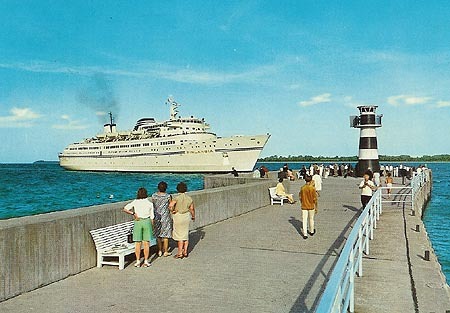 This page is devoted to postcards and photographs of the Finland Steamship Co ferry Finlandia. 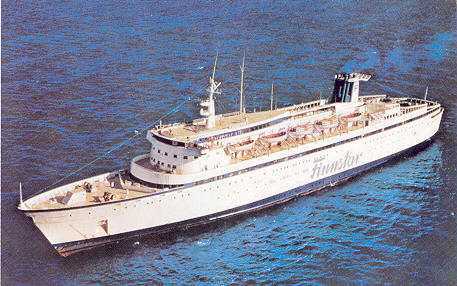 Finlandia was delivered by Oy Wärtsilä Ab, Helsinki in 1967 to Finska Ångfartygs Ab (FÅA), for the route Helsinki-Copenhagen-Travemünde, which was marketed as Finlandia Line. In 1975 she was sold to Finnlines without change in name or route. 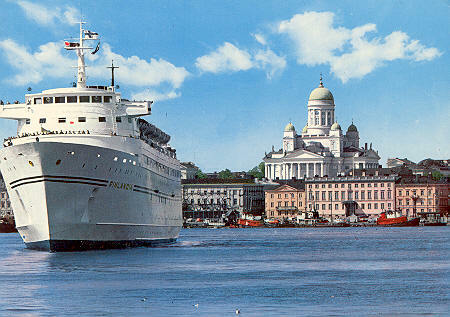 In 1978 Finlandia was converted to a cruise ferry and renamed Finnstar. 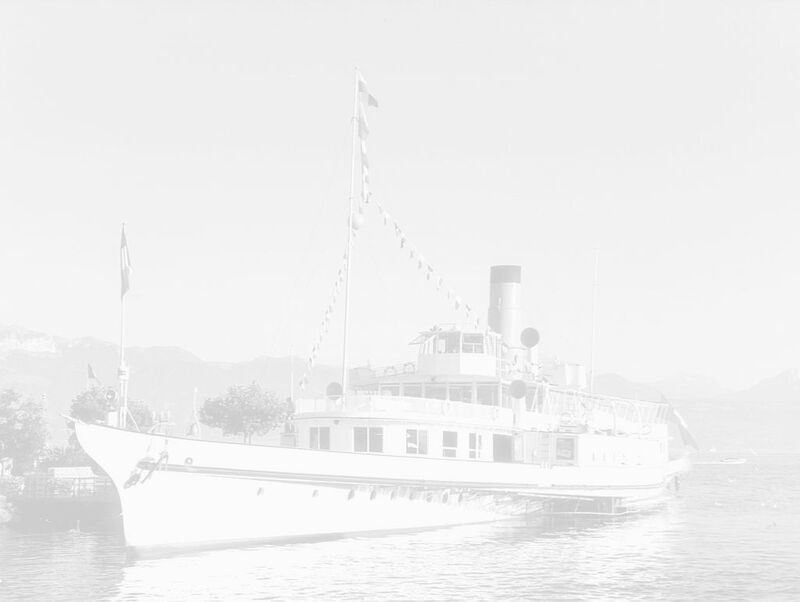 She commenced cruising in the Mediterranean, but was laid up in Toulon in 1980. 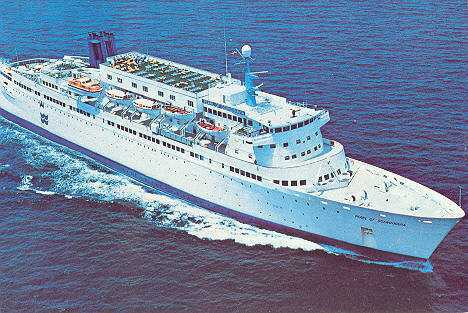 In 1981 she was sold to I.M.Skaugen and converted into a luxury cruise ship by Aarlborg Werft, returning to service in 1982 as the Pearl of Scandinavia of Pearl Cruises. 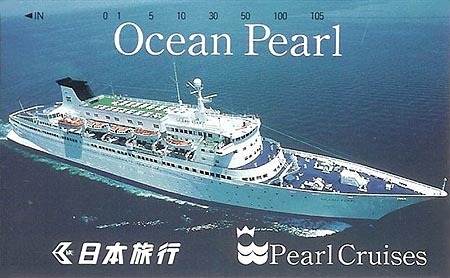 In 1987, Pearl Cruises was sold to Ocean Cruise Lines. 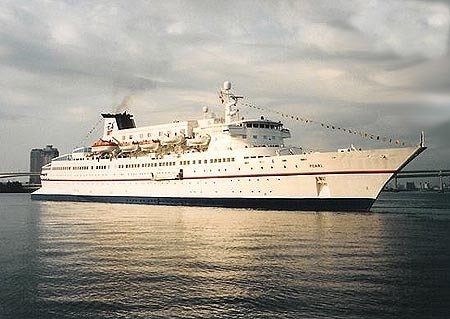 Pearl of Scandinavia was rebuilt again in 1988, receiving a new bow and funnel. and renamed Ocean Pearl. 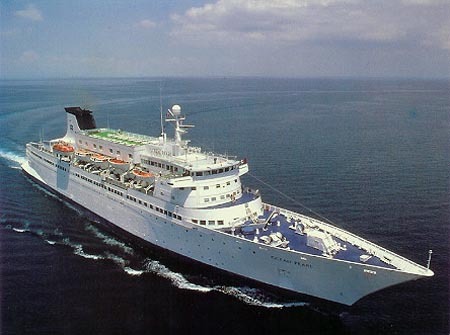 In 1990, Ocean Cruise Lines was acquired by Croisieres Paquet. The owners of Paquet also owned Costa Crociere, and management passed to Costa in 1994. The name was changed to Pearl. In 1995 Pearl was refurbished and reappeared as the Costa Playa of Costa Crociere. 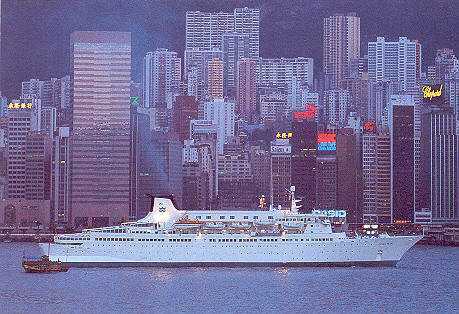 In 1998 she was sold to Mega Wave International Ltd, Hong Kong and renamed Oriental Pearl under the Bahamas flag. The following year she was sold back to Costa Crociere and renamed Joy Wave. In 2000 she was sold to Eurasia International, Hong Kong and renamed Golden Princess for casino cruises out of Hong Kong. 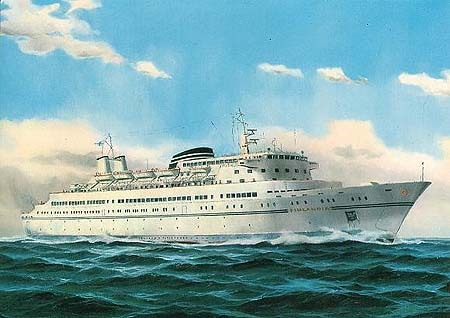 Finlandia was delivered by Oy Wärtsilä Ab, Helsinki in 1967 to Finska Ångfartygs Ab (FÅA), for the route Helsinki-Copenhagen-Travemünde, which was marketed as Finlandia Line. In 1975 she was sold to Finnlines without change in name or route. 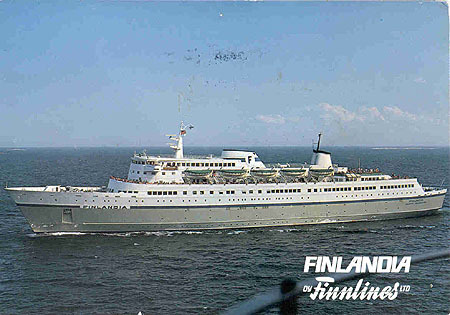 In 1978 Finlandia was converted to a cruise ferry and renamed Finnstar. 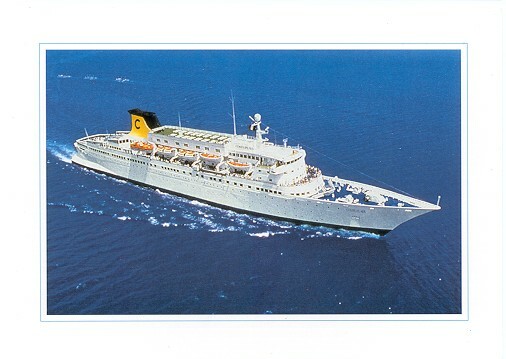 She commenced cruising in the Mediterranean, but was laid up in Toulon in 1980. 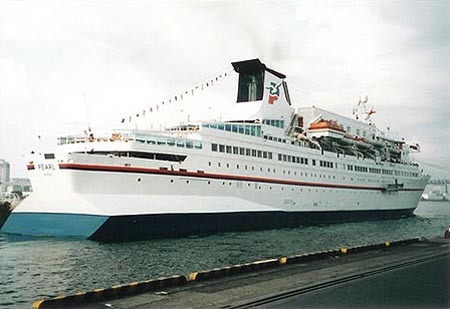 In 1981 she was sold to I.M.Skaugen and converted into a luxury cruise ship by Aarlborg Werft, returning to service in 1982 as the Pearl of Scandinavia of Pearl Cruises. 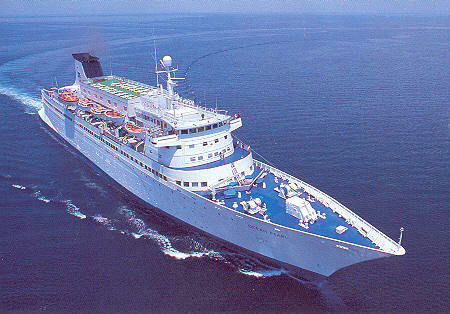 In 1987, Pearl Cruises was sold to Ocean Cruise Lines. Pearl of Scandinavia was rebuilt again in 1988, receiving a new bow and funnel. and renamed Ocean Pearl. In 1990, Ocean Cruise Lines was acquired by Croisieres Paquet. The owners of Paquet also owned Costa, and management passed to Costa in 1994. The name was changed to Pearl. In 1995 Pearl was refurbished and reappeared as the Costa Playa of Costa. Official Finlandia Line art postcard of Finlandia. Official Finlandia Line postcard of Finlandia. Schöning & Schmidt postcard Tra719 of Finlandia. Postcard of Finlandia at Travemünde. Postcard of Finlandia at Helsinki. Official Finnlines postcard of Finlandia. 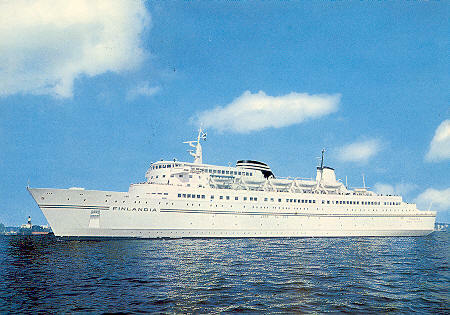 Official Finnlines postcard of Finlandia as rebuilt as Finnstar. An official Pearl Cruises (Paquet) card is shown below. A Pearl Cruises phone card. Pearl in Paquet colours at Tokyo, 5th May 1995. 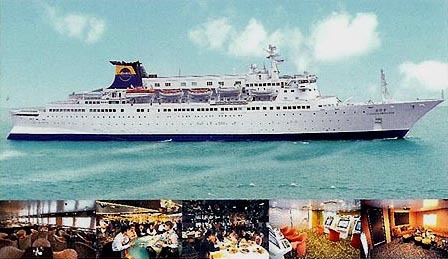 Costa Playa was built as the Baltic ferry Finlandia in 1965. She began operating as Costa Playa in 1995, on cruises to Cuba starting from the Dominican Republic. The official Costa card is shown below. I do not have a postcard of Oriental Pearl. I do not have a postcard of Joy Wave. 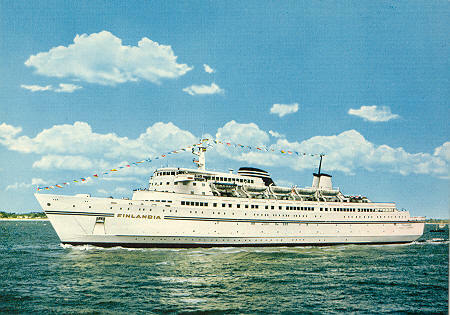 A brochure image as Golden Princess.